From ancient times to the present, men have gotten most of the good ink. 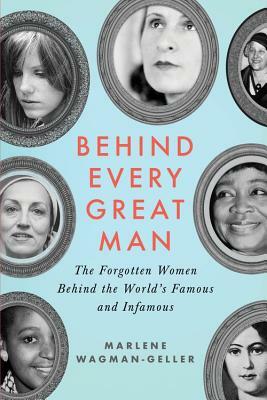 Yet standing just outside the spotlight are the extraordinary, and overlooked, wives and companions who are just as instrumental in shaping the destinies of their famous--and infamous--men. This witty, illuminating book reveals the remarkable stories of forty captivating females, from Constance Lloyd (Mrs. Oscar Wilde) to Carolyn Adams (Mrs. Jerry Garcia), who have stood behind their legendary partners and helped to humanize them, often at the cost of their own careers, reputations, and happiness. Through fame and its attendant ills--alcoholism, infidelity, mental illness, divorce, and even attempted murder--these powerful women quietly propelled their men to the top and changed the course of history.